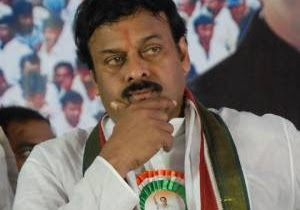 The latest comments of actor-turned-Union Minister Chiranjeevi over status of Hyderabad has drawn a huge flak and provoke his opponents to lash out at him. MIM President and MP from Hyderabad Asaduddin Owaisi sharply reacted to Chiraneevi and blasted him. Asaduddin has gone a step ahead and dubbed Chiru as "Bachcha (kid) in politics." Asaduddin said on record, "Hyderabad is ours. Hyderabad belongs to all. If anyone wants to make it (Hyderabad) a UT (Union Territory), Hindusthan (India) will see a severe agitation in Hyderabad which has never seen in the history of the country before. Chiranjeevi is Bachcha in politics. He couldn't even run his own political party. How could he talk about Hyderabad and its status?"